The activists, who call themselves the "Four Necessity Valve Turners," are part of the Catholic Worker Movement from Texas, Wisconsin and Minnesota. They posted Facebook Live video of the incident, in which they try for several minutes to close an emergency shut-off valve on an Enbridge pipeline using a variety of tools and other objects, such as a rosary. The video ends as they are loaded into sheriff's vehicles. "This was an action to address the imminent damage and destruction that's already being done to the climate, and the fact that government and regulatory agencies have not adequately addressed that imminent and irreversible danger," said Diane Leutgeb Munson, a spokesperson for the Catholic Workers. She added the valve turners felt compelled to trespass and attempt to shut down the pipeline, and they acted "in the spirit of nonviolence" to address the danger posed by climate change. The activists said that Enbridge remotely shut off the flow of oil through its Line 4 oil pipeline after they called the company. An Enbridge spokesperson declined to elaborate on the safety precautions the company took, but said no oil was spilled because of the incident. "The actions taken to trespass on our facility and tamper with energy infrastructure were reckless and dangerous," the company said in a statement. "The people involved claimed to be protecting the environment, but they did the opposite. Their actions put themselves, first responders, neighboring communities and landowners at risk." The company added it will support the prosecution of those involved. The Itasca County Sheriff's Office did not respond to requests for comment. Monday's action is the latest in a string of protests against Enbridge since the Minnesota Public Utilities Commission approved the company's plan to build a replacement pipeline for Line 3, one of six pipelines Enbridge runs across northern Minnesota. The company plans to begin construction on the $2.6-billion Line 3 project this spring, and have the new pipeline in service by the end of the year. 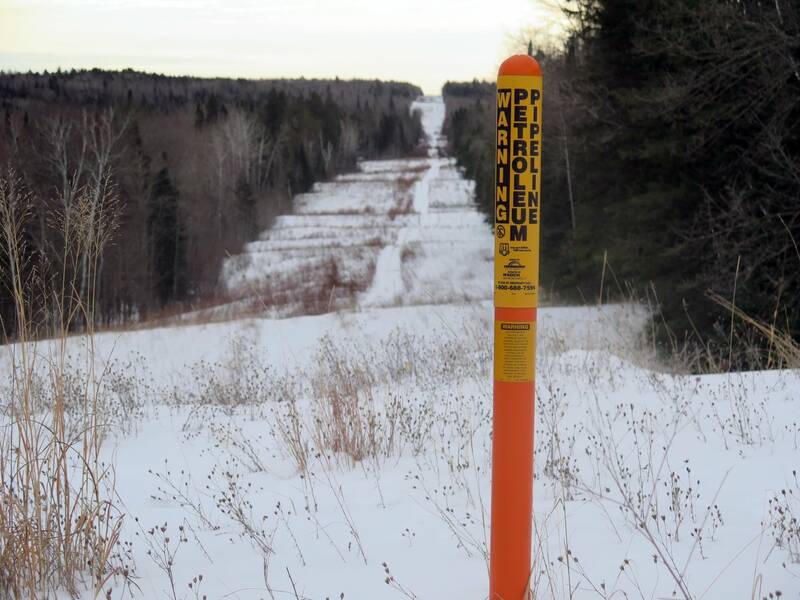 In a similar incident in 2016, four self-described "valve turners" tried to shut off valves on Enbridge pipelines in Clearbrook County, Minn., which prompted the company to temporarily stop the flow of oil through the lines as a safety precaution. After agreeing to let the defendants in that case make a unique "necessity defense" to argue that their actions were necessary to prevent what they saw as the greater harm of climate change, a judge dismissed felony charges against those activists in October. 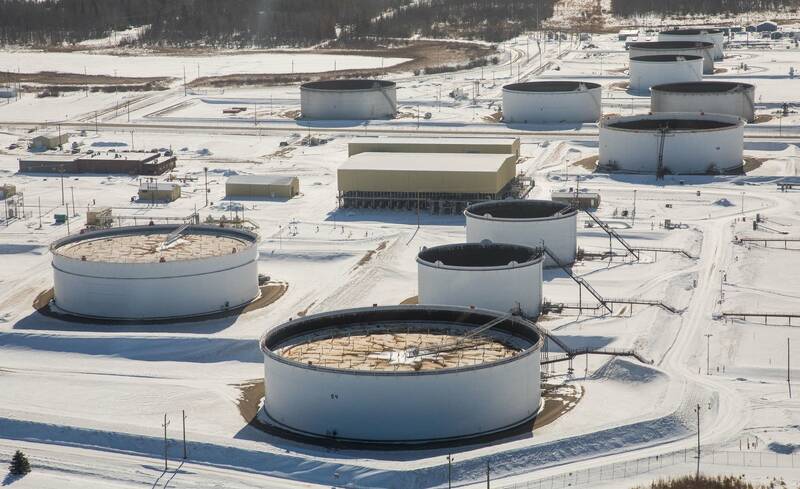 Last year, Minnesota lawmakers approved a bill that would have increased penalties for damaging "critical infrastructure." But the bill was vetoed by then-Gov. Mark Dayton. State Rep. Sandy Layman, R-Cohasset, said the protesters threatened the safety of surrounding communities and first responders. "Everyone has the right the protest, but trespassing on private property and tampering with critical infrastructure is dangerous and extremely irresponsible," she said.